Fat LossFOURPLUS 4+ Cut 4 Her+ - 120 kaps. The unique formula for women. The product is made from herbal extracts that help maintain normal body balance. Bet on proven materials and enjoy the achieved effects! 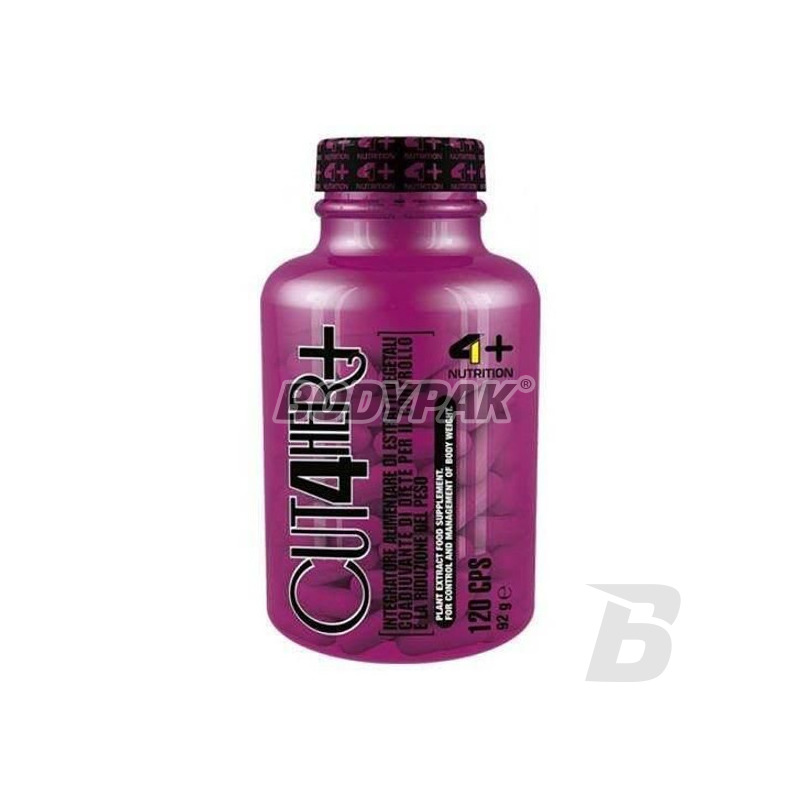 4+ Cut + 4 Her is a unique formula designed specifically for women. The product is made from herbal extracts that help maintain the proper balance of body and support your pursuit of excellence. The extracts contained in the product stimulate the metabolism of fat and carbohydrate metabolism. Some of the statements contained in the product, eg. Green tea antioxidants play a role. The preparation takes into account the specific requirements of the Women of the body, so that shows remarkable efficacy and safety. Bet on the quality and enjoy the results achieved! 4+ Cut Her 4 + - fast and safe weight loss!